The Cary Group > FAQ > What Is Emotional Intelligence? FAQ: What Is Emotional Intelligence? Your Emotional Intelligence, or Emotional Quotient (EQ) is more critical to your personal and professional success than your IQ. Your EQ is your ability to identify and manage your emotions and those of others. EI includes at least three skills: emotional awareness, the ability to harness emotions and apply them to tasks such as thinking and problem solving, and the ability to regulate your own emotions, and to cheer up or calm down others effectively. How Do You Know If You Need A Coach? How Can Dr. Cary’s Evidence-Based Approach Help You? What Are the Benefits of Leadership Coaching? 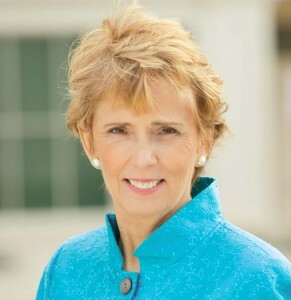 Dr. Margaret Cary is a senior executive, physician, educator, professional speaker, author, facilitator and executive coach who combines broad management and patient care experience in health care, information technology and the media. Dr. Cary holds faculty positions at Georgetown University School of Medicine and is a member of the Executive Advisory Board for the Center for Health Administration at the University of Colorado Denver Business School. All content © The Cary Group 2019 unless otherwise noted.